Always working on budget we love to build strong links with clients working closely to bring product to life, meeting a vision and delivering images beyond expectation. 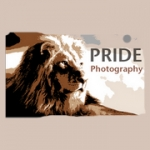 From the initial development of the brief, through the production of style boards where needed, pride photography will put across your message every time with guaranteed quality images. Our clients vary from household names, leading advertising agencies to small independent companies who appreciate professional yet friendly personnel service alongside great photography.